After outgrowing the atari (ie getting jealous of my friend's computers) i discovered the continuing joys of hardware upgrades, with the pc. 386, 486, 586, 686: SimCity, Lemmings (play online! ), Day of the Tentacle, Sam & Max: Hit the Road, Monkey Island series, Prince of Persia (play online! ), Myst (oh myst..), Syndicate (video and game! ), Grim Fandango, Descent, Dungeon Keeper II, The Sims, Wolfenstein 3D & Doom & Quake and other first-person shooters (serious sam, tribes 2, no one lives forever, quake3, return to castle wolfenstein, ut2004), IL-2 Sturmovik, Darwinia, with a brief foray into MUDs. and finally i bought my own console, a Playstation2. most enjoyed so far: Katamari Damacy & We love Katamari, God of War, Ico, Rez, Grand Theft Auto: Vice City, Spiderman 2, SSX 3, The Simpsons: Hit & Run, the Burnout series. The Escapist - The Left Behind "I know I'm not alone. I've seen entire tribes of refugees during my travels, people fixated on one dead game or another." the first game i ever played, was Space Invaders on my mom's greenscreen amstrad. 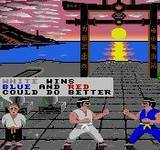 if you're feeling masochistic, download this emulator, Steem Engine, and games. [games] - the sequel to (the best ps2 game ever) katamari damacy comes out tomorrow in N.America: We Love Katamari (official site). here's some fan art that the original inspired. and finally some words from/about the creator of the game, Keita Takahashi, on the game's design, games for the elderly, his keynote at the GDCE, and some of his other art. a Giant football table by maurizio cattelan. "In 1991 he made Stadium, an enormously lengthened table-football game designed to be played by two teams of eleven players." Human Foosball. life size, inflatable. 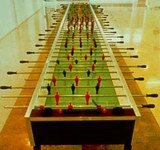 Table football - Wikipedia. overview of the sport, strategy and variations. The Football Table Robot from Freiburg uni (videos, article). And the Foosbot from Rice uni (via). [games] - a metric whackload of TV video game commercials, primarily japanese, but also retro/foreign/US. 10:34 PM .:. [games] - Ten unmissable examples of New Games Journalism 02:23 AM .:. [games] - plasma meets asteroids. best clone ever. mono. (download) 12:28 AM .:. [games] - Someone keeps stealing my letters... 03:44 AM .:. [games] - Schadenfreude Interactive 02:41 PM .:. 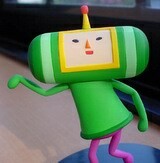 [games] - Katamari Damacy is out for PS2. go buy it NOW. pure joy. 08:15 PM .:. [games] - Speed runs through some classic and modern memories. mario, doom, zelda, half-life, etc. 10:53 PM .:. [games] - Fractal Tic-Tac-Toe 01:34 AM .:. [games] - Lovechess. cough. 01:51 AM .:. [games] - antiwargame (via) 02:42 AM .:. [games] - Mogi: Second Generation Location-Based Gaming [see also, the short story Maneki Neko in A Good Old-Fashioned Future] 08:10 PM .:. [games] - The Kingdom of Loathing. hilarious lo-fi adventuring. (i'm quiddity, the level 2 pastamancer (yeast scholar)). a limited number of Adventures per day (40 battles/explorations) means the addiction is self-limiting too! 02:16 PM .:. [games] - am intrigued. katamari tamashi (movie) (via octopus dropkick! via glitchslaptko) 08:39 PM .:. [games] - yeti baseball 10:34 AM .:. [games] - CurveBall and fly_2 (more at parent and addicting games) 12:20 AM .:. [games] - The Scrabble that will destroy the world 01:46 AM .:. [games] - the National Budget Simulation 05:29 PM .:. [games] - fullscreen it. about 15 mins. stunning. Samorost (via k10k) 11:32 PM .:. [games] - Truck Dismount. as much fun as a barrel of monkeys. 04:04 PM .:. [games] - Britain attempts world's silliest video game. nice gamepad. wants. 01:19 AM .:. [games] - Minions! 08:52 PM .:. [games] - Slashdot | Sam & Max in 3D. oink! 02:01 PM .:. [games] - you owe it to yourself to download the free Flying Model Simulator. fly the glider, absolute tranquility by the spoonful. 11:21 PM .:. [life/games] - Deep play 08:56 PM .:. [games] - retro Atari Coin-Op Flyers 11:53 PM .:. [games] - The Art of Urban Warfare 10:23 PM .:. [game] - I Have No Words & I Must Design 01:21 AM .:. [retro] - you feel an urge 02:25 AM .:. [game] - Bookworm. A sort of scrabble meets tetris. timesink. 10:32 PM .:. The Floating Eye cannot hurt you, but it can paralyze you with its hypnotic gaze. 11:02 PM .:. [game] - pong. addictive like you wouldnt believe. 02:04 PM .:. x-box comes out soon. do Not buy one. 07:01 PM .:. GameSpot: Beta Test Center. 10:54 PM .:. State of Emergencygameplay.mov demo. 5.2Mb 11:14 AM .:. it reads like the paper of an english major/economics minor undergraduate. An anthropology of a semi-existent universe. Really quite neat: The In-game Economics of Ultima Online [via antenna] 12:29 PM . :.